Photo by Emrys Horton of EPH Photography. 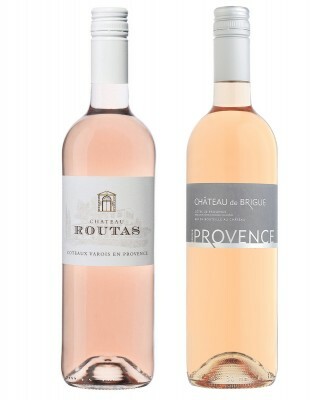 It’s no secret: when the sun shines, people want rosé. 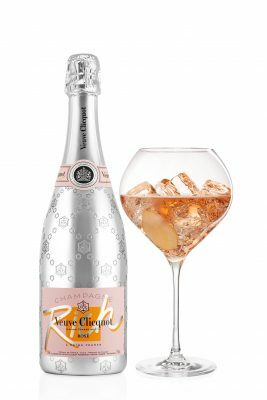 From sparkling to medium-bodied, each bottle of this gentle, pink refreshment is meant to be enjoyed en plein air and among good company. 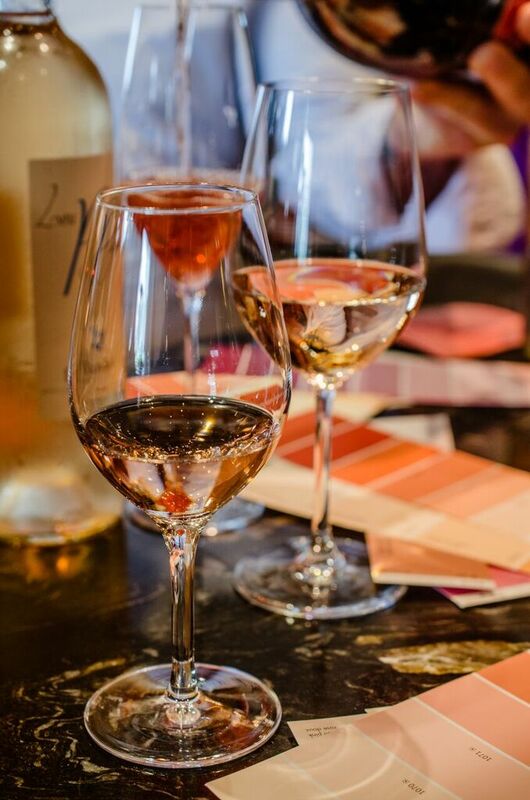 While a Gastown patio reservation or backyard party may be in order, the best way to experience the city’s finest selection of rosé requires a trip to Yaletown. At the heart of Marinaside Crescent, one of the most affluent neighbourhoods in Vancouver, a scintillating garden of blushing beverages awaits. 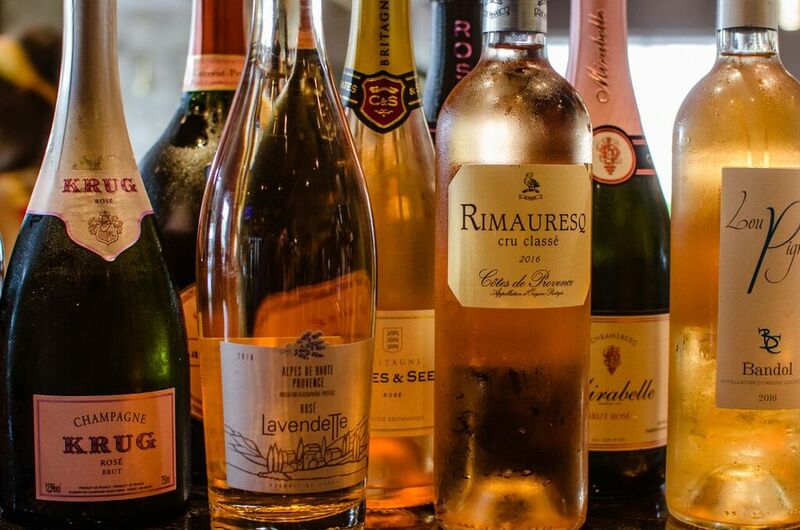 Home to the largest by-the-glass wine program in North America, TWB: The Wine Bar and adjoining Provence Marinaside restaurant has sweetened its collection with 46 rosés from around the globe. “Last year, we had three great wines that we had exclusivity on,” says wine director Joshua Carlson to a crowded bar of the city’s vino enthusiasts. “It made me think, ‘What other wines do we have exclusivity on?’” This prompted the head sommelier to pursue more rare bottles, which in turn led him to the South of France for Vinisud, one of the foremost international wine exhibitions. A self-proclaimed wine geek, Carlson tasted his way through a lot of “crappy wines to get to the good stuff,” which he’s excited to share here. 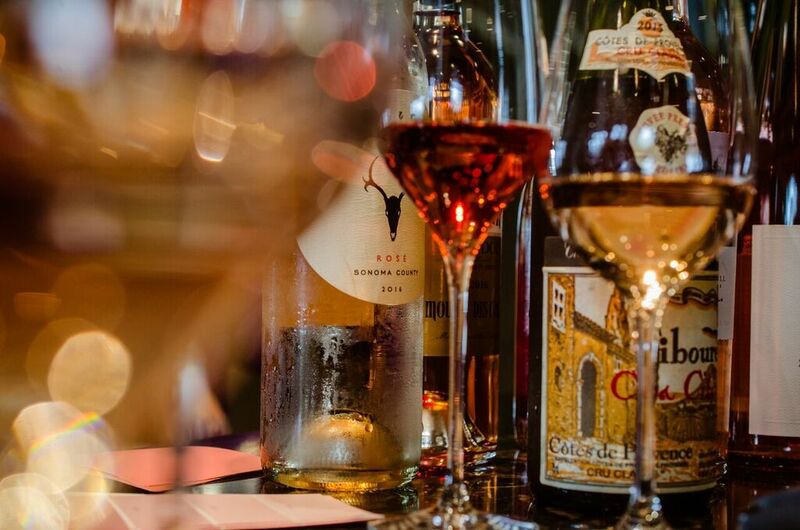 Introducing bottles from France, England, Spain, Germany, California, and B.C., Carlson brings The Wine Bar’s grand total up to 241 rosés by-the-glass. While some labels will be familiar favourites, such as the Mission Hill Family Estate Rosé and France’s Miraval, there are six varieties that are exclusively available here. 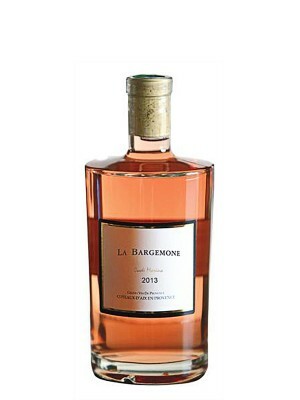 This includes Bandol’s Bastide de la Ciselette 2016, a highly-rated example of an elegant Provence vintage; and from Sicily, Tomeresca Calafuria, a pale-pink rosé made with 100 per cent negroamaro (a deep-skinned grape found only in Southern Italy). 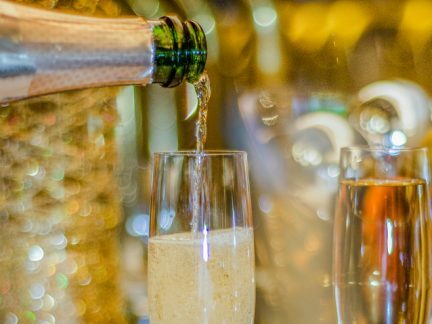 A must-visit for wine aficionados, rosé fans, and the like, this is one menu that will leave guests tickled pink.